Manfrotto has today added the Off Road 30L Hiker Backpack to its Off Road Collection. Features include a 'breathable back system and water-repellent fabric'. 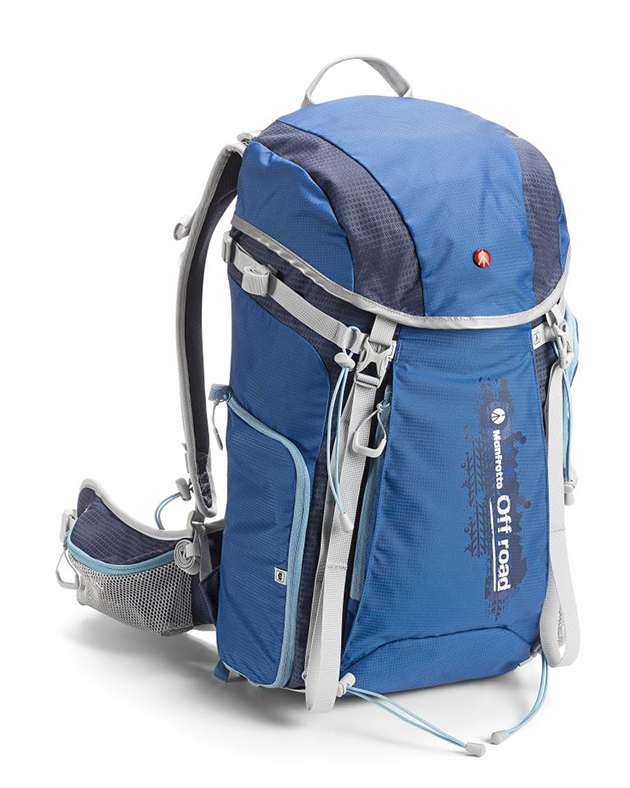 The Off Road 30L Hiker Backpack is due out now, priced £169.95. London, March 2015 – Manfrotto, world leader in the photography, imaging equipment and accessories industry, is proud to announce the addition of the Off Road 30L Hiker Backpack to the Off Road Collection. The Off Road 30L Hiker Backpack is the perfect bag for hiking and photography. It has been designed to meet the needs of photographers who are looking for compact and lightweight accessories ideal for action and adventure photography, and also hobbyist photographers who shoot outdoors and need multipurpose products. Featuring a fully removable internal camera case designed for maximum protection and an innovative solution for keeping the camera secure on the chest while walking. In addition, the breathable back system and water-repellant fabric make the Off Road 30L Hiker Backpack perfect to bring photographic gear to outdoor adventures. Half of the space is dedicated to personal objects needed for an outdoor trip, and the other half features a removable camera case that can carry a Pro DSLR, 70-200mm lens plus an additional lens. The camera case features the Manfrotto Protection System, which is specifically designed to ensure maximum protection, and once this is removed the backpack can be turned into a total hiking bag. The bag features a unique solution for keeping the camera secure. The strap keeps the camera still and safe on the chest while walking around, and avoids neck strain. With a breathable back system and adjustable shoulder straps, the Hiker Backpack is the perfect choice for trekkers who wish to capture and record any moments of their hike. With padding on contact areas and the breathable back system keeping the backpack separated from the body, these features ensure maximum comfort at all times. The fabric is water-repellent and the included rain cover protects the bag from the elements. The dedicated straps on the backpack can carry the Off Road walking sticks and tripod. Available now through selected stockists, the 30L Hiker Backpack is priced at £169.95 including VAT.